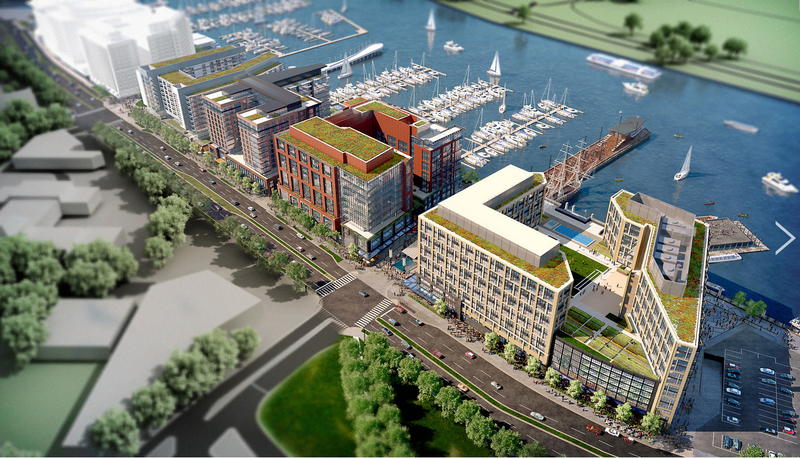 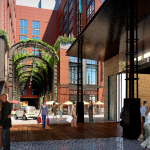 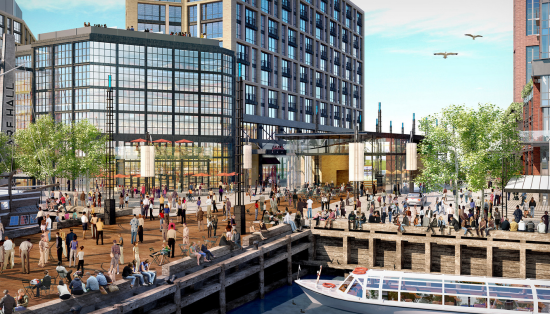 After nearly a decade of planning, a $2 billion, three-million-square-foot mixed-use development is underway on Washington D.C.’s Southwest waterfront. 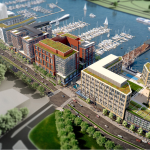 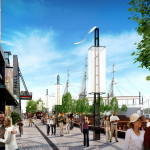 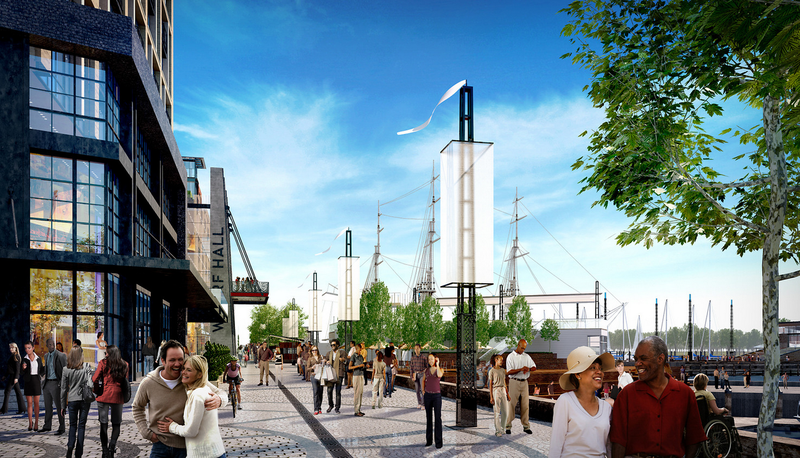 In March, construction started on Phase 1 of The Wharf, a project that is being developed by Hoffman-Madison Waterfront and designed by Perkins-Eastman. 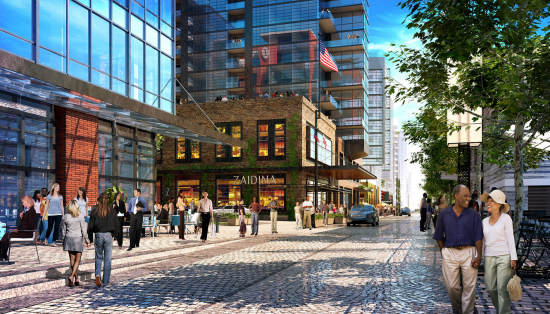 The new neighborhood will have marinas, green space, entertainment venues, and plenty of retail, residential, and hotel space. 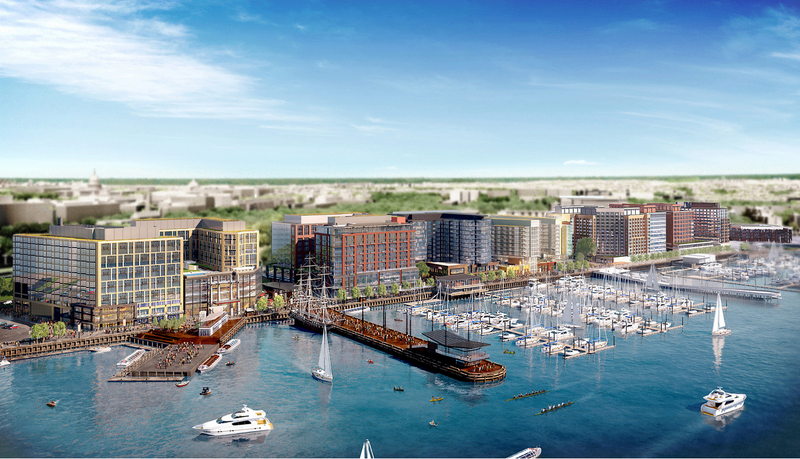 Specifically, Phase 1 covers 24 acres of land, 50 acres of waterfront, and will include 648 apartments, 240 condos, 680 hotel rooms, 200,000-square-feet of retail space, and 435,000-square-feet for offices. 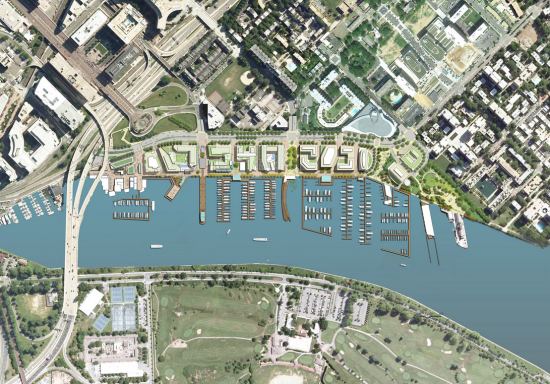 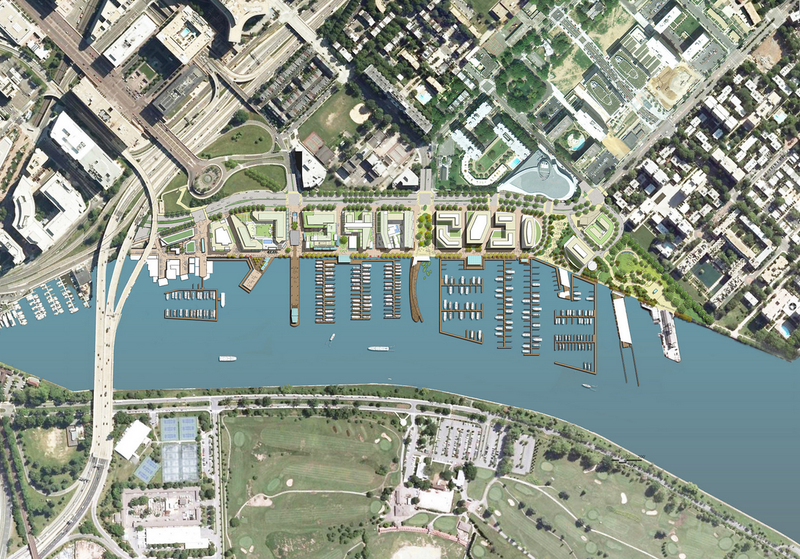 The development is situated along the Washington Channel and is part of the Anacostia Waterfront Initiative—a 30-year, $10 billion plan to transform the waterfront. 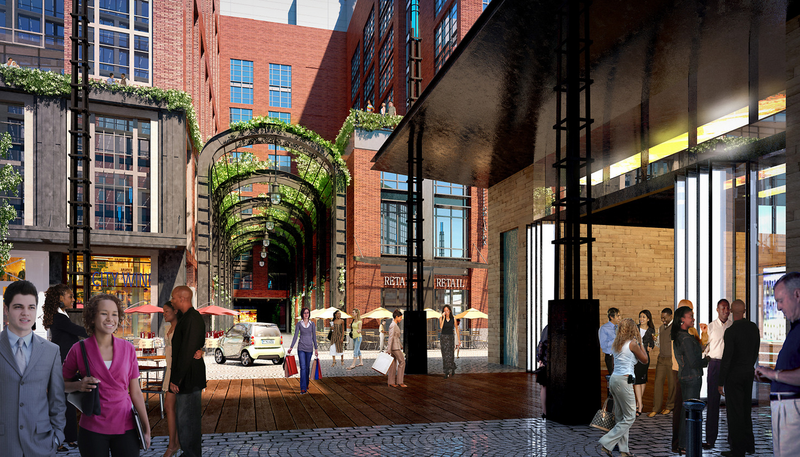 Construction on this project is slated to wrap up in 2017. 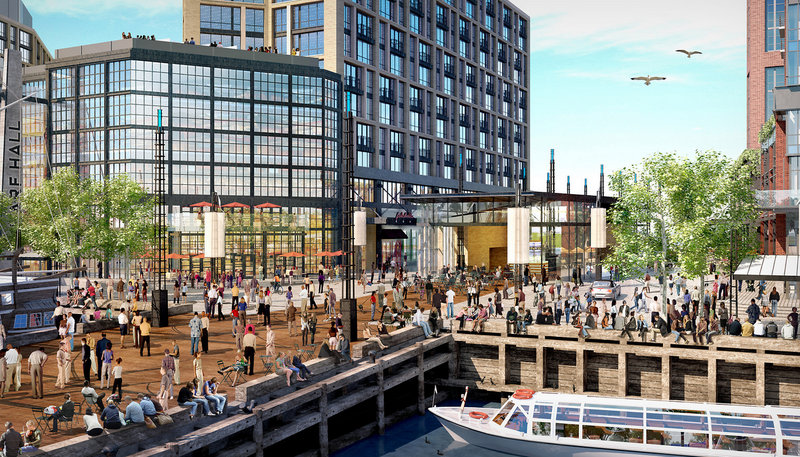 Mixed-Use Perkins Eastman The Wharf DC Washington, D.C.